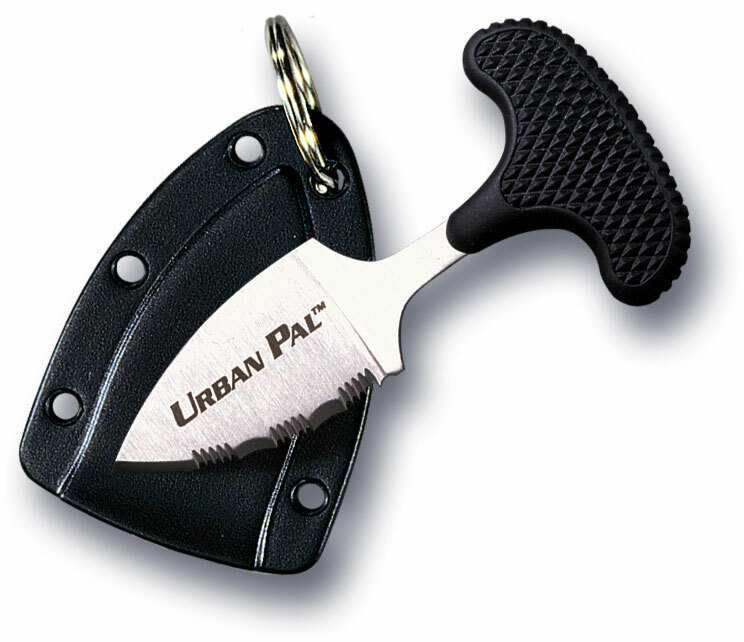 The Urban Pal should be standard equipment for survival in today's urban jungle. At only 0.7 oz., it's perfectly at home in a pocket or purse and can be easily attached to a key ring, or hung around the neck. With a 1-1/2" long blade, it's big enough to get the job done and its unique handle allows you to really put your weight into its point or edge. 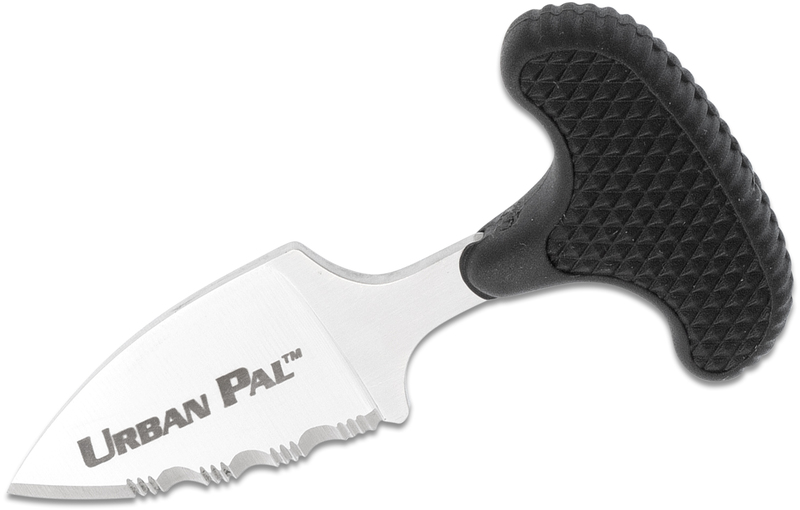 For added convenience, the Urban Pal comes with a tough, Secure-Ex sheath, to safely house the blade yet make it available for instant access. Comes complete with Secure-Ex sheath. 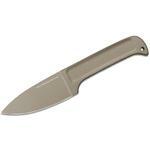 This is one of those times when the sheath can make or break a knife. I got this to be a handy little necker. After a month of use, I found the knife laying in my lap. Okay, I guess I didn't sheath the knife properly. A couple days later, it happened again. 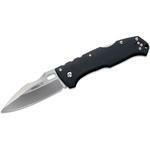 To make a long story short, the sheath simply stopped retaining the blade. Heated the plastic and pressed it around the knife. That worked for a little while but didn't last. It's a shame that such a small, non threatening but very capable knife is consigned to the junk drawer due to a poor sheath design. 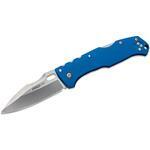 I ordered my urban pal be a dedicated hide out knife to wear around the neck and under a loose shirt.. 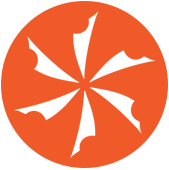 It is very sharp, light and inconpicuos. I do not plan on using it for any other purpose. The one draw back is while drawing the handle is difficult to grasp between the middle knuckles. It's better suited for people with slender fingers. It would be a perfect defensive tool for ladies young and old. 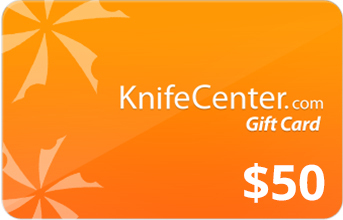 Over all I'm so pleased that I ordered a urban edge and safe maker 1.And The Knife Center service was excellent. I received my urban pal 2 days after I placed my order. Small enough to fit in the palm of you hand. Sharp and sturdy. 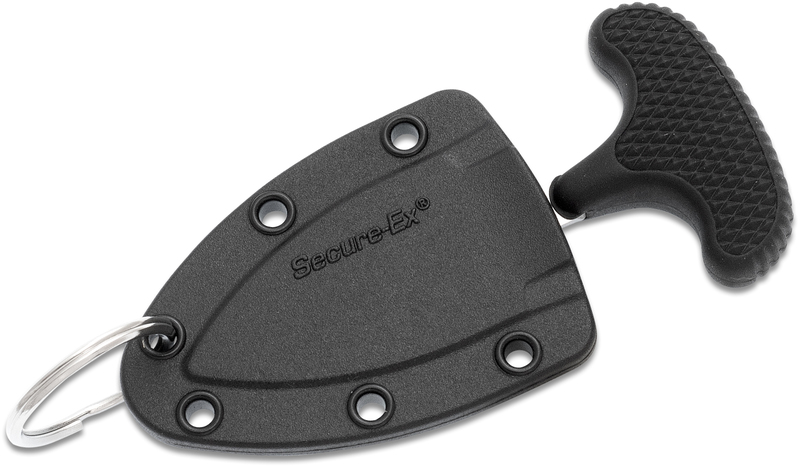 Slides from the sheath without having to “pull”. Great EDC pocket knife. 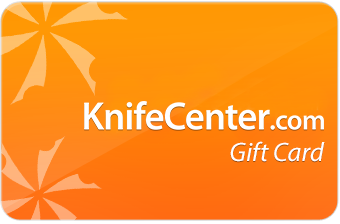 Hey, I wanted to share "Cold Steel 43LS Urban Pal Push Dagger 1-1/2 inch Serrated Blade, Kraton Handle" with you from KnifeCenter.